Picture frames may not be the most glamorous subject to write about, and we’re fairly sure they won’t be on your top ten things to discuss at family gatherings (unless we’re there with you, of course), but the history and origin of picture frames is actually an interesting one. As you can imagine, picture frames have been a way to present artwork for as long as anyone can remember, and it would seem that they have always been something that has just “been there”. They’re your household’s unsung decoration, and it’s said that every person has at least one picture frame in their home. What’s more surprisingly however, is that you’ve probably owned more frames in your lifetime, than even household items like a kettle or toaster. 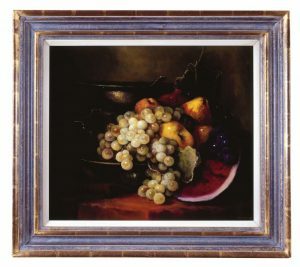 Frames are actually an integral part of anyone’s life, whether you are simply displaying family memories at home, or famous pieces in a museum or gallery. Picture frames come in all shapes and sizes, very plain and simple, extravagant or even a work of art in themselves. Whatever your taste, frames are designed to elevate artwork to the next level allowing whatever you put inside it to completely change the way it is presented whilst also preserving and protecting. But where did this unsung hero actually originate from? 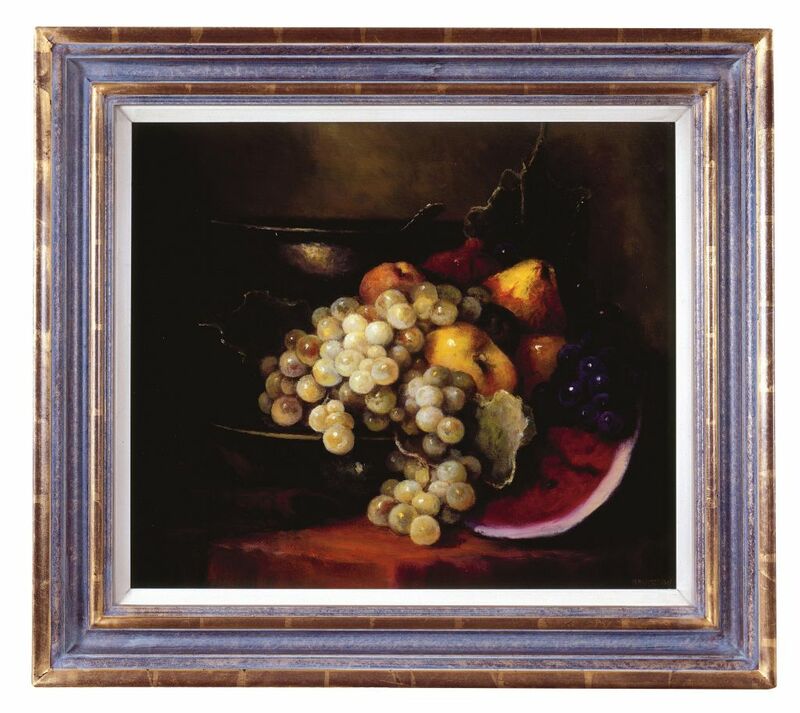 In the last century there were numerous countries that claimed to be the very place where frames originally appeared. The United States was most vocal about this subject, using some wonderful examples of ancient American artwork and gilded frames as their evidence, and it took historians a little while to sort through the numerous dated accounts. At a similar time, many countries in the United Arab Emirates, started to claim similar things, with Saudi officials boosting the exclusiveness (an in turn, the value) of their frames with stories of frames that were over one thousand years old with historical value attached. Amazingly however, all of these claims were quite easily debunked, and it’s now thought that picture frames date back to as early as the 2nd century A.D. – a full one thousand years earlier. 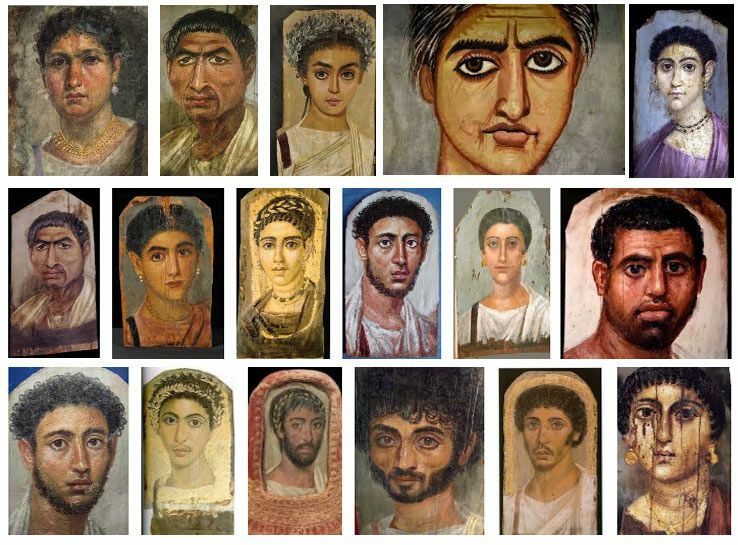 We know this due to a discovery made in an Egyptian tomb at Hawara, of a Fayum Mummy Portrait (examples shown, left) still preserved inside a wooden frame. This finding suggests that mummy portraits may have been hung in the owners homes prior to being included in the funerary process. 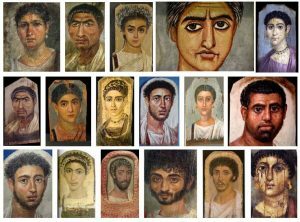 Later during ancient Egyptian and Greek times, frames were used to divide scenes and ornamentation either along part of a decorative wall that was painted into several scenes, or even in large sculptures made from pottery. These wooden carved picture frames that appeared on small panelled paintings in 12th and 13th century Europe, although in appearance were picture frames, still hadn’t evolved into the picture frames that we use today. It is said that these original early framed panel paintings were actually made from one piece of wood and the area to be painted was carved out leaving a raised frame. This frame would then be painted and gilded before the actually carved artwork would be finished and painted. This method of framing was only used for a short period of time before it was realised that it was to costly, and the engaged frame was then produced. The engaged frame is where moulding strips were attached to a flat piece of wood giving the same raised frame effect as carving from one piece. After the engaged frame was created, throughout the 14th and 15th century this method was used to frame many commissioned pieces for churches. These were usually unmovably pieces and became a large part of the churches architecture. In the same way moulding strips were used, plaster was used to build up many extravagant designs, However during the Italian renaissance there was a rise in many art patrons from beyond the church and wealthy nobles. One such family the Medici family used the same method of frame to commission artwork that could be moved allowing them to display it in their estate, this is where the first portable picture frame was born and used. The picture frame continued to evolve and in 1515 through to 1547 art became the forefront of daily life and began to flourish, and along with art of course came picture frames. 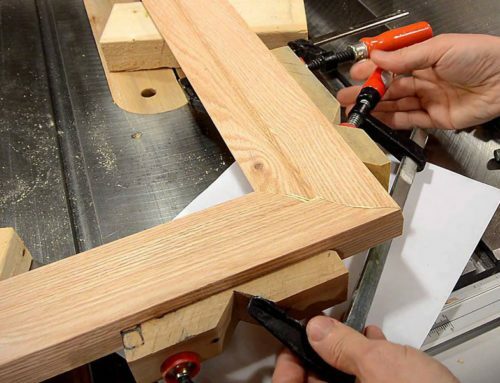 Frames began to be designed and manufactured by many furniture and picture frame builders and thus became available and distributed to a wider market than before. Subsequently, over the years picture frames have continued to evolve and many furniture builders have played with, and adapted the designs, making them thinner, thicker, flat, wooden, gilded, and also adding the glass panel to help keep art preserved. As odd as it seems, adding glass to a frame is a fairly recent idea. So what’s the point of that little history lesson, I hear you ask? Well, the next time you visit a historical building, whether it be a museum, cathedral, stately home or any other place of grandeur, pay a little more attention to not only the artwork, but what’s surrounding it. The frames, and particularly the older style of frames, can be equally as beautiful as the art they encase. And upon noticing these details, if you take a particular liking to a frame and wonder if you could ever own one too, Frinton Frames are always on hand to discuss reproducing it exactly for you. We’re passionate about manufacturing beautiful artwork frames, and no matter what type of frame, we’re always willing to explain just what we are able to do for you. There’s certainly much more to picture frames than you’d initially expect, and the next time you look at that picture on your desk, or on your wall at home, take a moment and ponder at exactly how far – much like the evolution of man himself – that little frame has come.